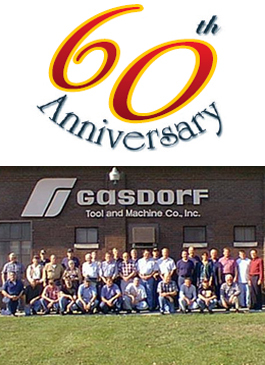 Gasdorf Tool and Machine Company has long been recognized as a pacesetter in precision machinery. Celebrating 60 years of experience combined with continuous technological advancements has earned a reputation of excellence for the company. Gasdorf provides complete services from concept, to engineering to machine building, to start-up assistance. Specializing in large scale precision equipment, Gasdorf is also highly qualified in the machining of exotic materials and extremely close tolerance work. © Copyright . gasdorf.com. All Rights Reserved.